Although the prospects of nC are enormous in long term, the development into sufficient applications, i.e. thermoplastic composites may require some times to markets. 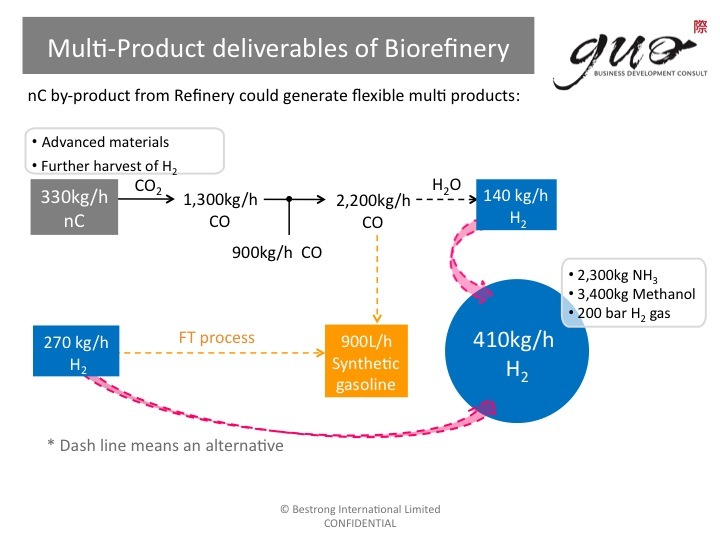 Therefore, another option might be to use the nC for further reaction to harvest Hydrogen, by extra 50% more or via chemical processing synthetic gasoline could be produced.